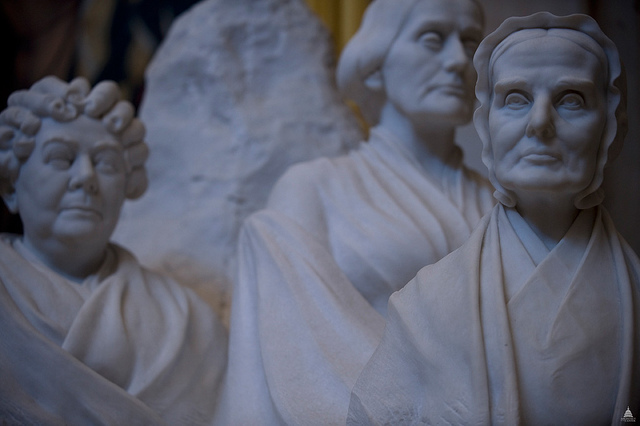 Jeanne Gehret is all about Susan B. Anthony. Ever since 1994, when she first served as a docent at the Susan B. Anthony House Museum, she has written books on Susan and portrayed her in costume. Since 2012, she has delved into a new area of research on Susan’s family, particularly her brother Daniel who emigrated to Kansas. She is intrigued by the similarities and differences between Susan and this swashbuckling brother. That research has supplied her with many tidbits on 19th century culture and people of renown who knew the Anthony family. You can find many of them on this blog. Come meet this dedicated Anthony researcher and presenter at Simply New York on Culver Road, near Seabreeze, at 2 pm tomorrow (Saturday, March 24). This fascinating shop is one of those indispensable independent bookstores that truly supports authors and books. Not only that, it has a fascinating inventory of non-book items made in New York State, ranging from jewelry to paintings to specialized brushes in all sizes. 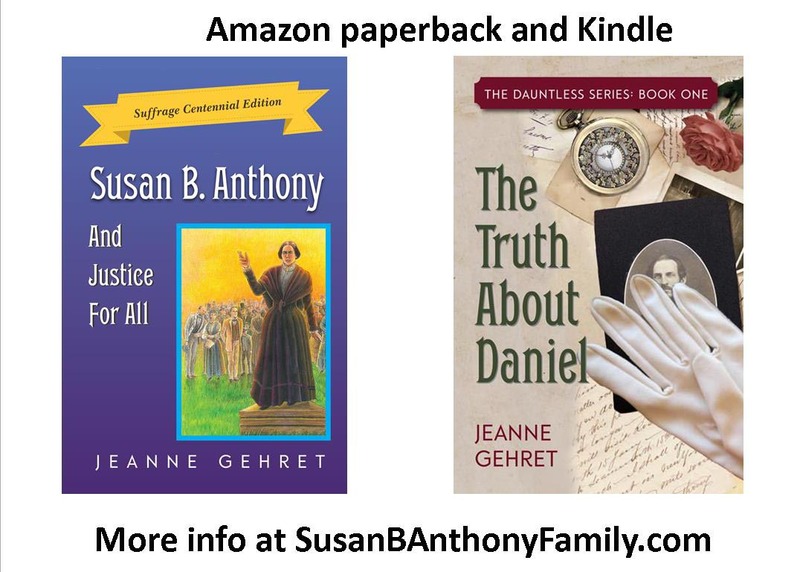 This entry was posted in book signing, Contemporaries of Anthonys, Daniel Read Anthony, NY, Susan B. Anthony, Susan B. Anthony And Justice For All, The Truth About Daniel and tagged Daniel Read Anthony, Kansas, Susan B. Anthony, Susan B. Anthony And Justice For All, The Truth About Daniel by Jeanne. Bookmark the permalink.